What is Workout for Water? UNICEF and Les Mills have developed Workout for Water to help make every child’s right to clean, safe and sustainable water a reality. Together we’re reaching out to our global network of Les Mills club partners, passionate instructors, and dedicated exercisers – encouraging everyone to set up fundraising pages and organize their own Workout for Water events in 2019. We’re using one amazing music track to celebrate Workout for Water 2019. This track will feature in all LES MILLS workouts that are part of the June quarterly release (available from May 2019). It will also feature in a series of workouts released on LES MILLS On Demand during June – so that everyone in our global fitness tribe can work out and fundraise. 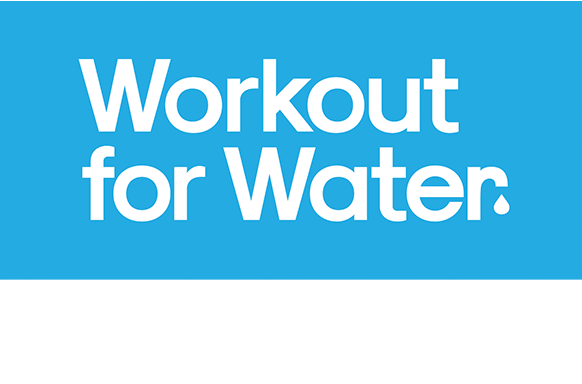 Whether you’re a club, instructor or an individual, you’re encouraged to set up fundraising pages on workoutforwater.org. You will receive all the tools you need to encourage others to join you as fundraisers and to ask for donations from your family and friends. What is Workout for Water supporting? It’s hard to imagine having to walk four hours just to fill up your drink bottle, but that’s the reality for thousands of children in East Africa. Workout for Water funds raised in 2019 will support UNICEF’s work to complete the Lega and Yelam Gej multi-village solar-powered water systems in the Amhara Region of Ethiopia. Our goal is to raise USD$5 million. By giving children access to clean, safe and sustainable water we can help them to grow up healthy and strong, safe from water-borne diseases. They will also have more time to spend on study and playtime when they don't need to walk four hours every day to source water. When is Workout for Water happening? One amazing track of music features in all Les Mills workouts that are part of the June quarterly release (available from May 2019). LES MILLS On Demand is using the same music track in workouts released at the same time. This means that Clubs, Instructors and Individuals can all run Workout for Water events any time from June to the end of December 2019. What is the music track this year? The song that will be featured in all the workouts is Heads Up by Jain. Take a minute and check it out. Jain’s music often talks about being the best person you can be, and coming together to make a difference. That’s why the song is so perfect for Workout for Water, when our tribe comes together and what we do will make the world a better place. What are these fundraising teams all about? What support will I receive as a fundraiser? Once you register at workoutforwater.org you will get ongoing support to help you raise funds. Everything from posters and social media content to fundraising instructions will be supplied. You will receive regular communications to help you inspire others and professional advice on how to ask for donations from your friends and family. Will I receive a tax receipt after I make a donation? We’re not issuing tax receipts this year, as to supply tax receipts for individual countries would increase the overall administration costs which we want to keep as low as possible. This means more of the proceeds raised through Workout for Water can be used to help children and their communities gain access to clean, safe and sustainable water. We’ll email a confirmation to you after your donation has been made, verifying that your donation has been received. All major debit and credit cards are accepted including Visa, Mastercard and American Express. Payments are processed securely through Stripe, see our terms and conditions for more details. Why should my club participate? 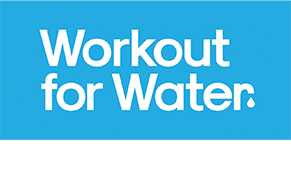 Running a Workout for Water event is a proven way to draw more people to your club. In 2017, Les Mills clubs in New Zealand raised USD$18,000 but also generated hundreds of new leads and generated some amazing PR coverage. By challenging your members to bring a friend to join your Workout for Water events you give new people a chance to start their fitness journey with you. What’s more, you can help your members get that special buzz that only comes from helping others. What will my club members get out of this? Helping others is a proven way to reduce stress, improve your emotional wellbeing and even benefit your physical health. Studies show that when you help others, it promotes positive (physiological) changes in the brain associated with happiness. By presenting an exciting new workout for an amazing cause to your members, you can help them feel better about themselves and your facility. We are asking both clubs and instructors to set up fundraising pages as teams, or join another fundraising team. You will receive everything you need to ask your club members and communities to fundraise alongside you and your team. You can make Workout for Water the theme for your new releases launch day, launch week or even a launch month! Clubs and instructors can choose when and how you would like to promote your Workout for Water events from June 2019 to the end of December 2019. Once you register as a fundraiser, you will get full support for your event with access to marketing material, social media content and some amazing video content from the communities where the solar-powered water systems will be built. Fundraise with us! Sign up now by clicking Start Fundraising in the menu. We can't change the world unless we can move people to care – that's why we need your help to inspire your group to give. Studies show that when you help others, it promotes positive (physiological) changes in the brain associated with happiness. By presenting an exciting new workout for an amazing cause to your members, you can help them feel better about themselves and your facility. We want you to set up a fundraising page. You will receive everything you need to ask your club members and your own community to fundraise alongside you. You can then make Workout for Water the theme for your quarterly release launch events!